What is the best kite harness spreader bar that allows either a freestyle hook and a sliding rope, and easy/quick change between? Isn't the hook floating on the rope slider? The whole point is to not have to buy 2 harnesses. Who does that? Has anyone tried the ion cbar? Looks like it allows swapping between hook and slider. Does it work with a ride engine harness? I have a ride engine harness but dont really like the single rope on the ride engine slider (no redundancy). Also looks a bit fiddly to undo all the straps everytime to swap over. Hoping theres something easier/faster. Yes, and it self-centers and points up with the bungy. I don't think you'll do better for covering both (assuming "freestyle" actually means unhooking) on one spreader bar. Otherwise, you'll just have to swap spreader bars. I've done/do it, don't see the issue. just tie a rope( slider) on your standard bar and attach to whatever takes your fancy. Dakine Option spreader bar may be worth a look. Wont the chicken loop catch on a fixed hook if running a rope slider on a standard fixed bat? It gives me options, which is what ur looking for isn't it? No, it should clear the hook - well mine did untill I eventually cut the hook off. roe goes above hook so only if you fly the kite below horizontal ?? you would think so but not so much and no big deal if it did catch occasionally. disclaimer: I'm a random idiot on the internet make your own call. 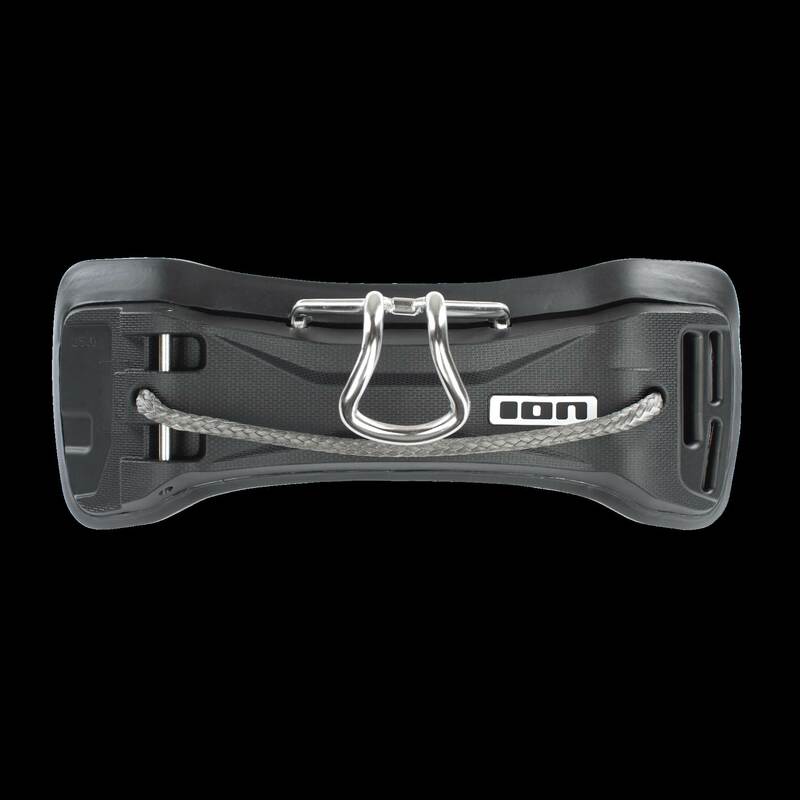 On the ION C-Bar Rope Slider 2 you can attach or remove the hook in less than a minute. What keeps the hook from sliding out? Also, can you access where the rope goes into the bar, to be able to replace it in the future? Screws in the back secure it.The rope can be replaced.